On the evening of July 25th I had the pleasure of attending a BIST Community Meeting unlike any I’ve been to before, the BIST Summer Picnic! This meeting was very special for many reasons: it only comes around once a year, it’s held in a park (this year, Dufferin Grove Park), and it brings together many BIST staff, volunteers, members, and sponsors for a celebration of our strength as a community. The evening began with a fun team quiz with facts about Dufferin Grove Park. It seemed like many BIST members knew a lot about the park and its history, and it’s safe to say that I learned a lot! After the quiz, dinner was served: pizza, veggies, fruit, pop, and cake – you can’t go wrong with that! After dinner, awards were handed out and sponsors recognized. Everyone deserves recognition for their hard work and kindness so below I will list the award recipients and sponsors who contribute so much to BIST and its programs. I definitely cannot forget to mention that Spiderman was in attendance too! He spent a lot of the night swooping people off their feet; I suspect he was training for the BIST 5km Run, Walk and Roll! Don’t forget, it’s coming up on Sunday, September 30th and you can register by clicking, HERE. I also want to acknowledge all of the wonderful staff at BIST who bring all of these fantastic programs to fruition! Once all of the awards had been handed out, we split into groups to do various activities: bocce, ping pong, basketball, and a reflexology walk. There was also a nice blanketed rest area under a tree for those who wanted to have some quiet time in the beautiful park. I opted for the reflexology walk which was very relaxing and quite honestly a fantastic foot massage! Before taking part in this activity, I didn’t really know what a reflexology walk was, which is why I wanted to try it. The basis of reflexology is that there are areas on the bottoms of the feet that correspond to different parts of the body. Applying gentle pressure or manipulating these various points can help to relieve stress and pain. I must say, I did feel more relaxed after walking the footpath a few times. My favourite part of the evening was getting to meet all of the inspiring BIST members as well as the wonderful staff who keep the BIST programs running. I was so happy to see that there were even some people who had never attended a BIST event before, but they came out to see what it was all about. I love community meetings for this very reason, they provide an excellent opportunity to connect with others within the brain injury community, and everyone is always welcome. Not only does BIST have programs for those who have sustained an injury, but they also have programs to support caregivers. If you would like to learn more about the many programs offered, check out BIST at www.bist.ca or, if you don’t live in the Toronto area, visit the Ontario Brain Injury Association (OBIA): http://obia.ca. This year’s Summer Picnic was a huge success and a wonderful celebration of the strength of the BIST community. I’m excited to see the programs to come and to meet the members who are part of our community as well as those who will be joining in the future! Next Community Meeting: Wednesday, September 29th, 6-8p.m. TOPIC: BIST’s Annual General Meeting – Everyone is welcome! The art work keeps pouring in for our Beauty + The Beast: The Good + Bad of ABI Expressive Art Show – happening Thursday, April 26 4-7 p.m. at Christ Church Deer Park. And while we are already knew BIST members are a talented bunch – and this year’s art show submissions are truly amazing! To give you a taste of what is to come, check out our Expressive Art Show co-curator, Abby Schnurr Mongkonrob’s amazing work, which she creates using her smart phone. Our Expressive Art Show & Community Agency Fair is a FREE event, but some of our Expressive Artists will be selling their art, which includes: greeting cards, photography and other crafts – so you’ll want to bring your wallet! BIST Community Agency Fair & Beauty + the Beast: The Good + Bad of ABI Expressive Art Show | Thursday, April 26, 4 – 7 p.m.
Are you ready, heroes? The BIST 5K is just days away! Meet Elizabeth Farquharson – the final hero we’re showcasing in our Heroes of Brain Injury Series – we can’t wait to see her and all the heroes on October 1st! Our ABI hero Elizabeth Farquharson doesn’t need to run as fast of the speed of light to impress us, she’s worked in the field of brain injury for over two decades and is still going strong! Find out more about this amazing hero of brain injury below! I have been a physiotherapist for 34 years and working in brain injury for about 20 of those years at Sunnybrook Hospital, as a clinician and more recently as a coordinator of care for trauma patients. I am a member of the ABI Network Transitions Committee and also have been involved in development of best practice guidelines for brain injury through the Ontario Neurotrauma Foundation. Despite the often devastating nature of trauma and brain injury, it has been a very rewarding career and I am often in awe of the patients and families that I have worked with. I admire the way people have managed to conquer so many obstacles and continue along chosen paths or find new meanings and different ways of doing things. Why do you participate in the BIST 5K? The BIST 5K is a way to support our brain injured patients and families and for our trauma ward to come together in a social event that is fun and inclusive. This year will be my fifth year participating! I have run one year and walked all the other times – hoping one day there will be a prize for the slowest! I love that the BIST 5K doesn’t care how you do it; only that you do it. There are people cheering you over the finish line regardless of how fast or slow you are! What does being a hero of brain injury mean to you? It means doing your best to provide the best patient care that you can. It means supporting and advocating for your patients and families and being involved in that journey of recovery. Even if I’m only involved for a short time while they are part of the early acute care phase at Sunnybrook, it is still a privilege and honour to work with brain injured clients and families and see their progress and resilience. It is so rewarding when these individuals come back to visit us at the hospital, and we are able to follow their journeys. What is your favourite part about Race Day? It’s a lot of fun and I love meeting different people from survivors of brain injury to the whole spectrum of care involved in recovery. I love the park, the fresh air, the healthy competition and the family involvement! Jenn Bowler is a social worker in the Trauma Program at Sunnybrook Health Sciences Centre and is a member of the BIST 5K Run, Walk, & Roll Committee. What can’t we say about Ellie Lapowich? Not only does she sit on our Mix and Mingle Committee and is a proud BIST supporter – but Ellie also manages to be one of our (if not the top) fundraiser at our 5K each and every year. We challenge you to take her on and see if you can beat her fundraising amounts this year! That’s just one reason why Ellie is an ABI Hero – read more about her below! I have had the privilege of working with people who have sustained brain injuries for almost twenty years now. 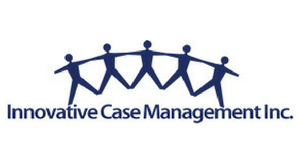 Since 2004, I have owned and operated Innovative Case Management Inc. (ICM), which is a community-based company that provides case management and occupational therapy services, as well as Catastrophic and medical legal assessments. I have participated in the BIST Run for the past several years because it is a great event that raises much needed funds for the wonderful programs offered by BIST. It is amazing to see such a great turnout year after year as members of our community, along with their families and friends (and often pets), cover the 5k while enjoying the camaraderie this event promotes. I think the real heroes of brain injury are our clients who have sustained these injuries and work incredibly hard every day to overcome the many obstacles they now have to face. I have had the good fortune of meeting some amazing people who are true inspirations. I believe that our clients’ loved ones and caregivers are also heroes. My favourite part of race day is watching brain injury survivours triumphantly cross the finish line. Are you ready, heroes? Meet Charles Gluckstein – he says it’s his sidekick Duke who brings him out to the BIST Heroes 5K Run, Walk or Roll every year – but we’re pretty sure nothing on Earth could keep this ABI hero away from our 5K! It is always heart wrenching, yet inspiring, to meet and work with individuals who have survived trauma including brain injuries. Most have a great will to persevere no matter the barrier. As a youngster my father exposed me to the places such as Variety Village and the Active Living Alliance where I could volunteer as a photographer for their special events and was amazed at the accomplishments and great spirit of individuals who had suffered from physical and mental challenges. Once becoming a lawyer I immediately volunteered as a Director of the former BIST. 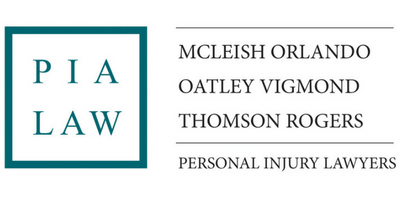 Our firm [Gluckstein Personal Injury Lawyers] has always supported the Ontario Brain Injury Association of which my father was a founding director and similar organizations. 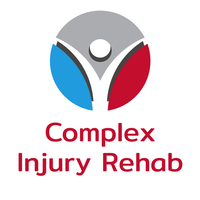 I’m very passionate about helping individuals living with brain injuries as they are the most vulnerable victims, and the ones who need the most help with their recovery and changes in their lifestyle. It’s Duke (my dog) who forces me to run the BIST 5K! He loves outdoor activities and being around people so he brings me along to drive him to the event. But in all seriousness, I participate in the BIST 5K event with my family because I believe it supports a great cause and one that is and has been close to our hearts. To me, a hero of brain injury is someone who has sustained an injury and is working hard every day to overcome the challenges they face, and tries every day to be better than they were the day before. I try to help those with brain injuries to receive financial, moral and medical support, but I am by no means the hero, they are. My favorite part of race day is seeing everyone come together on an equal footing. You have brain injury survivors, community leaders and medical and legal professionals bringing their families to participate together towards the same goal. Once the suit and ties are off and the medical gowns are put away, the egos are put away as well. We are all there to have a good time and interact with one another, not as professionals, patients, referral sources, caregivers but instead as humans. As we gear up for BIST’s Heroes 5K Run, Walk or Roll on October 1st, we’re launching our 2nd Annual Heroes of Brain Injury Series, highlighting some ordinary folk with extraordinary ABI superpowers who come out to our 5K each year. Read about our fastest heroes on Race Day – Garvin Moses and Kathleen Lawrence – below. But just so we’re clear, we know everyone who comes out to our 5K is a hero – no matter how fast they run, walk or roll! I work as an Occupational Therapist (OT) with Function Ability Rehabilitation Services, as an OT for approximately seven years now and with my role at Function Ability for over two years. With Function Ability, I work with people who have sustained a variety of traumatic injuries including brain injury; most of the clients I work with have been involved in motor vehicle collisions. I work with my clients to help support their recovery process and enable them to return to their activities of normal life and re-engage in their meaningful occupations. I love what I do and it has been a very fulfilling career thus far. I participate in the BIST 5K because I love running and because of my work with people living with brain injury. This race is helping further community participation, raise money and increase brain injury awareness. To me, running is all about setting my own personal goals and working to achieve them, the BIST 5K allows opportunity to meet my own goals. I started running in 2011 as I had always enjoyed doing physical activity and I found it to be an easy activity to integrate into my weekly schedule and to be a great form of stress management and effective to support my own work / life balance. In order to help motivate myself to commit to running, I registered and ran my first half-marathon in the fall of 2011. I definitely experienced a ‘runner’s high’ after that race and since then, I’ve completed many half marathons and races from 5 to 30 km. I ran my first marathon in 2015 and have since completed four full marathons including qualifying for and running the Boston Marathon this past spring! I enjoy running many races over each year but I always look forward to running the BIST 5K – this will be my third year participating in the event. To me, heroes are people who overcome obstacles and challenges to achieve something great. I think the true heroes of brain injury are the survivors, they are the ones working hard to overcome brain injury barriers to engage in their daily activities. In my role as an OT, I try to listen to my client’s concerns and challenges while reflecting and utilizing their strengths to help them progress towards their goals. Being a hero of brain injury could be providing support, having a positive attitude, engaging in reflective listening or simply just being there at the right time. There are brain injury heroes all around us, survivors, friends, family, caregivers, health care and legal professionals, and other rehabilitation team members. We all work together to fight brain injury. I enjoy the whole atmosphere of the race. The BIST 5km always has a special atmosphere about it where people come together to achieve a common goal, not only about participating in the event but creating brain injury awareness. I like the social atmosphere of the race and being able to spend time with other people to learn about their personal victories related to the event. There are always so many great success stories that occur at the BIST 5K; from just being able to attend the race, to running a first 5 km, to setting a personal best time – it is all about celebrating personal accomplishment. I also enjoy the feeling of crossing the finish line! Faster than a speeding bullet: Garvin has won fastest male at our 5K since we began doing this race in 2011! The Neurologic Rehabilitation Institute of Ontario (NRIO) was my introduction to ABI and this field. I applied here shortly after graduating from the University of Windsor. I started off working as a rehabilitation therapist and slowly worked my way through the organization. I have been with NRIO for almost nine years and I currently manage two of their residential programs in Mississauga and south Etobicoke. Although at times it can be difficult managing two programs I have a great team of staff and therapists around me. I also really love the diversity of the two sites. The Mississauga program deals with more slow to recovery and non-ambulatory individuals, the south Etobicoke residence known as the SLA (supported living apartments) deals with higher functioning individuals and allows them to engage in rehabilitation in a much more independent environment. Working at the two different sites gives me an opportunity to work with two very different sub-groups of individuals as well as work with them in different points of their recovery. I would never really categorize myself as a hero. As I mentioned earlier, I’m only able to do what I do because of the great people I work with. More times than not, I’m telling my clients that they are the ones who motivate me whether it’s being able to say a family member’s name for the first time, ambulating stairs, or finishing high school when they thought they would never be able to. In some cases, it could be finishing that 5K race they have been training for all year long. I really do like the sense of community that is involved in this race. It allows survivors and service providers to come together in a non-threatening environment. From a selfish perspective, I also enjoy hanging out by the finish line to see the smiles and looks of fulfillment as people cross the finish line.